We all know those amazing epics moments in life that leave us feeling on top of the world: passing an exam, getting your dream job etc. But these are some of the simpler moments in life that feel incredible no matter how simple they are. 1.Waking up, turning over and seeing the person you love in bed next to you smiling in their sleep. No words can do this moment justice but it feels absolutely wonderful. 2. Introducing a friend/ relative to something you love be it a book, a film or a TV series. Then they become as obsessed as you are and you end up having conversations about it for hours. 3. Waking up hangover free. You’ve had a heavy night out and you wake up dreading to move but when you do, nothing. No sickness, no headache, absolutely nothing, you thank your lucky stars knowing you don’t deserve it especially after just how much you drank the night before. 4.Seeing your friend in a happy relationship. We all have that friend who makes a habit out of dating less than favourable people, let’s put it. But when they break the habit and start seeing someone who treats them properly it’s an amazing feeling not just for them but for you as well. 5.Trying new food. You decide to be adventurous and go for something different on the menu and when it comes you think it is going to be revoluting. But you take the plunge and as soon as the food is in your mouth, hello new favourite food. 6. Hugs from behind. 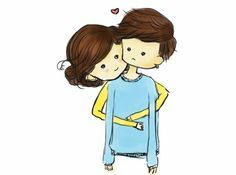 These really are a gift from the gods, standing up idly doing something when the person you love comes up behind you and wraps their arms around you. No matter what it always leave you with the biggest smile on your face. 7. When you make someone laugh when they feel like crying. The ability to make someone laugh or smile when the are feeling down is a great thing and knowing that that person could do the same if the roles were reversed is even better. I hope you enjoyed these simple moments, what are the simple moments in your life that you love?